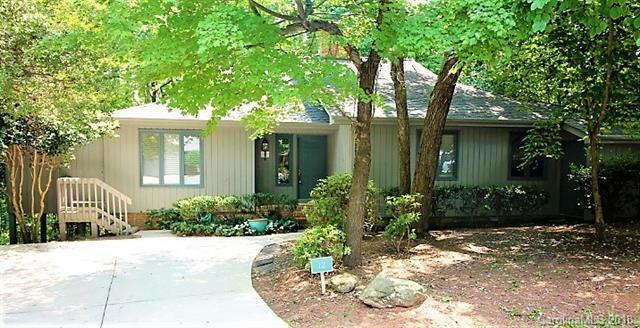 Ranch-Patio home in gated community of River Hills. Tucked away on a quiet cul-de-sac street. Resort living every night! Golf, Tennis, Swimming, Dining and Marina memberships available. Tons of Social clubs for all. 3 bedroom 2 bath home in cul-de-sac of patio homes 1 row from golf course. (3rd bedrm being used as an office.) Kitchen w/eat-in area opens to decking. Formal Dining rm to relaxing Sun room. Great room has brick, two sided frplc. Master suite w/bath-double sink vanity. Spacious Flex room on lower level could be used for a variety of things. Rec. room, Exercise room, Office or Media room. New carpet and interior paint. Great Clover schools and SC taxes!